Asbestos is a hidden killer in the workplace, and unfortunately there are around 4500 deaths each year through exposure to it. It was a popular building material for many years, and it is safe to have in your building unless the fibres become airborne. 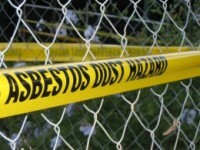 Exposure to airborne asbestos fibres can cause mesothelioma, lung cancer, asbestosis and pleural thickening. These can all be fatal diseases, and also often by the time a diagnosis is made it is too late, so you can clearly see why it is essential to make sure that you are not exposing yourself and your employees to these fibres. It is your responsibility as the business owner to manage asbestos, and you will need to ensure that you are compliant with the latest Health and Safety Regulations. This helps to establish that it is safe for you and your employees to work in the building each day, and it will also give you peace of mind as well. The best way to check for asbestos is to have the area surveyed. This can be carried out by an expert company that will be able to inspect and test for asbestos through a variety of services. If asbestos fibres are found, then you can get a contractor to carry out the removal work. These companies need to hold a license from HSE so you can be sure that the work will be done properly and safely. The thought of asbestos in the workplace is a terrifying one, but when you have a management plan from a trusted company, like AMS Asbestos Management Services and others, it will sooth any concerns you have. The services these companies provide will ensure that you are compliant with the latest regulations, and give you the information you need to manage your situation and create a safe working environment for you and your employees. It is important to remember that even if your offices were built before the year 2000 and with asbestos-containing materials (ACM’s) that you are not necessarily at risk of exposure. This is true unless it has become damaged or it is located in an area that might become disturbed, and the only way to be sure is to have the area surveyed. This will give you the information you need to move forward and ensure that you are not exposing yourself and your employees to the dangerous fibres.